In our "CLiC's", EVERYONE IS WELCOME! 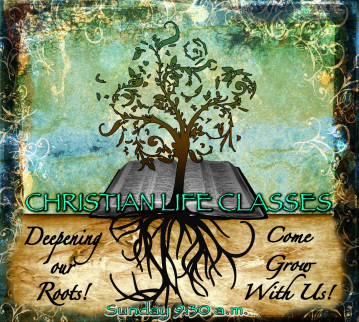 Traditionally known as "Sunday School", our Christian Life Classes are designed to help you get spiritually grounded! Come and grow in your personal relationship with Jesus Christ, as your spiritual roots extend deeper and deeper into God's Word. There is a place for everyone, no matter what your age! Christian Life Classes are a GREAT way to connect, a GREAT place to grow in your knowledge of Biblical Truths, and a GREAT place to fellowship with others! CLiC's meet every Sunday morning at 9:30 AM.